A Good Piano Teacher: Why do I need one? Do I Need a Good Piano Teacher? A good piano teacher is essential to guide a student towards his full potential in music. There is a wide range of teachers available in Singapore but a good piano teacher would firm your steps towards musical success. While there are natural abilities in terms of musicality, intellect and coordination skills, much of it is cultivated by hard work and good training. Even students with a high ability to start with need a good piano teacher to train and refine a discerning ear, technical skill and breadth of musical understanding. Many years ago, a young beginner student started lessons who was not able to sing in tune. 'Tone deaf' as many would call it. Taking patience and time to train this diligent student systematically, he was singing in tune in months. With appropriate training, his ear was developed and over the years completed his ABRSM grade 8 with high distinction and his piano diploma. At the early levels, good habits in reading, listening, muscular coordination and self-awareness are necessary to lay a good foundation for more complex playing later on. Depending on the natural musicality and psychomotor skills of the learner, students without appropriate instruction from teachers are likely to form poor habits. When problems surface, many students end up discouraged and sadly feel that they are simply 'not musical.' Some give up altogether while a few give 'one last chance' by changing piano teachers. Good habits whether technically, musically and in listening on the other hand, when taught by the piano teacher since young become a firm foundation on which more advanced pieces may be picked up more easily. This is one of the areas I am passionate about in my teaching - to help students find success no matter how late. I believe that no student should feel like they have failed at the piano if they have put in their hard work. 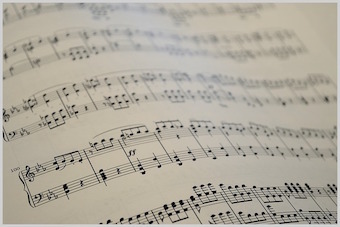 When poor habits are left uncorrected, many students find their technique and musical understanding inadequate especially in grades 6 to 8. Their piano playing skills need extensive relearning. After some time of focused and detailed reworking of piano playing habits it was my joy to see many of these transfer students play well enough to achieve a merit and distinction at ABRSM grade 8 piano level. Consistent correction of poor habits is essential to students who started poorly and wish to advance in playing piano. As poor habits are a result of years of misguided practice, they are not that easy to correct. However, with a good teacher and a diligent student, such habits can usually be corrected to a good degree. Are you experiencing difficulties at the piano or finding that your level of playing has stagnated? Feel free to consult about piano lessons with Clara in central Singapore over a short assessment session. Home › Do I need a good piano teacher? Home › Choosing a piano teacher › Do I need a good piano teacher? Home › Effective piano lessons › Do I need a good piano teacher?